The genus Sulcorebutia has always been the subject of many discussions ! These days, thanks to the great progress of science, the discussion might be over. 1°) The genus Rebutia is not monophyletic, because Rebutia s.s. is clearly separated from Aylostera and Mediolobivia. 2°) The genera Sulcorebutia, Weingartia and Cintia are very closely related. 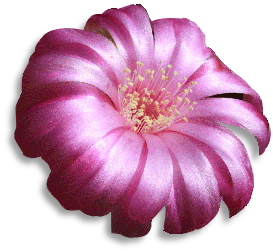 "Previous studies demonstrated that the rigorous lumping of many genera in Rebutia s.l. is not supported by molecular data. The genera Cintia, Sulcorebutia and Weingartia constitute a well-supported monophyletic clade, which is clearly separated from Rebutia s.s."
At the biginning of 2008, Hentzschel & Augustin published their revision of the genus Weingartia in the journal Gymnocalycium [21(2) 2008 pp 767-782 : Weingartia, Sulcorebutia und Cintia - an indissociable whole - characteristics and recombination]. "The authors united Weingartia, Sulcorebutia, and Cintia into one genus. As many experts before, they have been emphasising the morphological proximity between Weingartia and Sulcorebutia in the first part of their revision in 2002. Based upon our molecular data from 2005, we have confirmed their hypothesis in our research report: "Sulcorebutia and Weingartia should be united into one genus, because neither molecular nor morphological data reveal a distinction between these genera." American Journal of Botany 94(8): p1330.)"